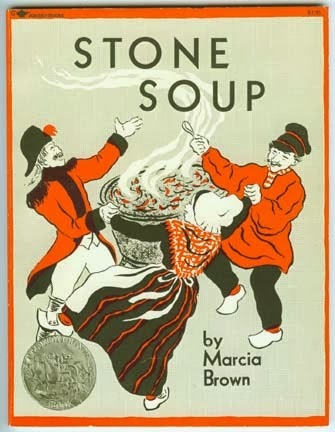 Story Time With the Library Lady: Not A Flannel Friday At All: "Tiger Soup"? Not A Flannel Friday At All: "Tiger Soup"? Okay, I spent last Saturday planning a week of "Arctic Animal" programs. I was going to do the ever popular "Polar Bear Hunt" game, tell "Eye of the Needle" and read a polar bear book or two. I came up with a take home craft for the little ones in the morning, and was wavering between 2 different crafts for my Thursday afternoon crew. I got my handouts ready. I spent time hunting down inexpensive cotton balls. I assembled bags for Tuesday. But then the polar vortex came roaring in along with a snowstorm. Not what you in the Midwest would call a snowstorm--and not in my native NYC where they got 12 inches--but 4 inches is enough to make a mess down here in the DC area. We don't have the snow/ice equipment they have in areas where this happens all the time.Which meant school closures--which meant no programs. I knew I'd be doing a Thursday afternoon program though, and after all this cold and snow, the last thing we needed was to go anywhere colder. Single digit temperatures and wind chills were more than enough. I needed a WARM story time. I read this first--with the snowy aspect it was a great story to read right now! I have thought about "flannelizing" this, or telling it with objects, but I'd had time for neither. Like Murray the Mouse, I was "in a hurry"!The kids enjoyed it as is, however. They joined in the chorus and liked the ending, though several of them didn't get what had happened to the carrot until we talked about it. 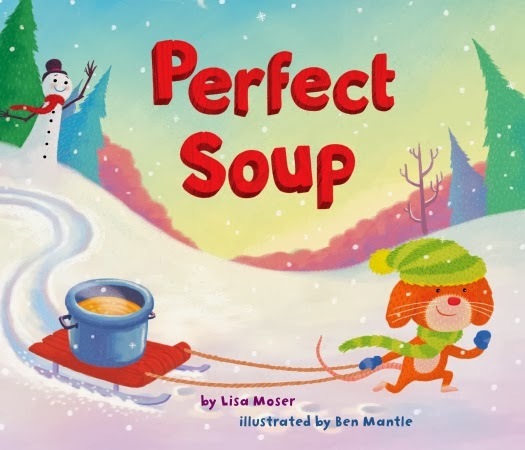 No matter, it was fun.Then we sang the "I'm a Little Snowman" song, which is always a favorite game, and they needed a stretch before I told "Stone Soup"
But in telling it, I use Heather Forest's version from her "Sing Me A Story" CD. I also have a collection of fake vegetables and the kids all get to drop them in the pot in turn. It got a little chaotic on Thursday, but it was fun. 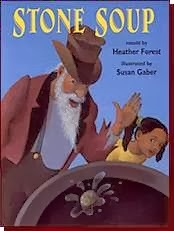 Heather's picture book version of the story is not as well known as Marcia Brown's, Ann McGovern's, or Jonathan Muth's, but it's a good retelling. And if you would like to hear Heather Forest singing and telling this story, click on the picture to get her podcast of this story. So why am I titling this post "Tiger Soup"? Because that's the last story that I told. 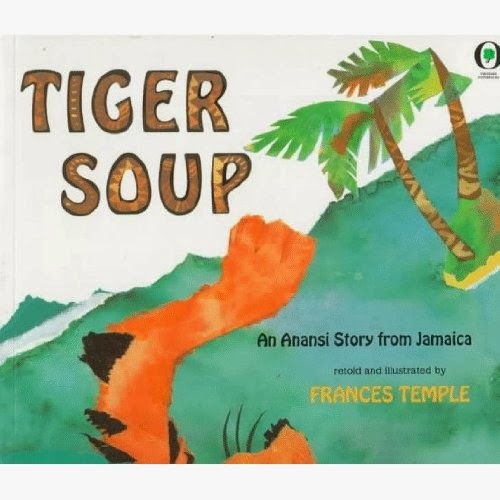 There are a lot of versions of the Anansi the Spider story about how Anansi tricks Tiger. 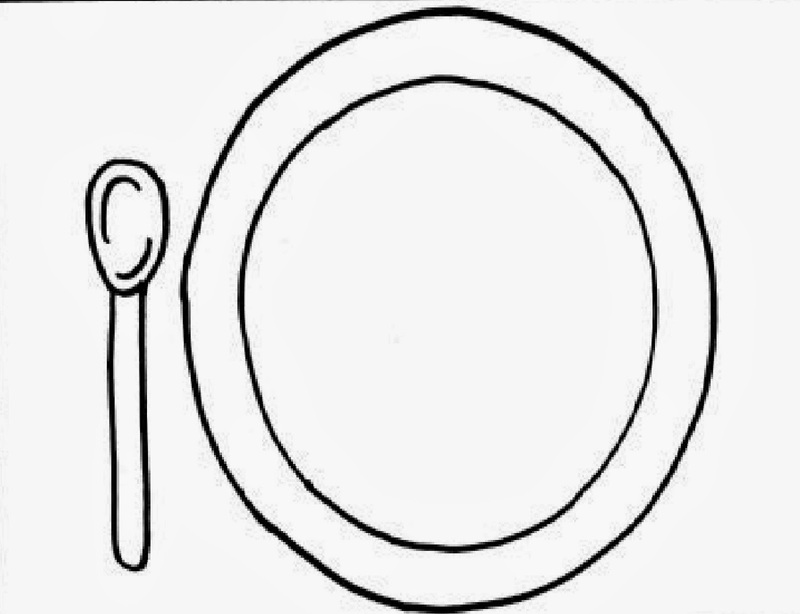 In some versions, like the Francine Temple picture book version, he merely tricks him out of his soup. But I vastly prefer the version where it is his TAIL that Anansi makes into soup, and that's the version that I tell. It's from a book called More Tellable Tales, and if you click here , you will find this story on Google books. I have done the "soup bowl" collage bit before, and thought that it would be old hat to these kids. But the kids loved it and the moms were impressed, which is always cool. I had a soup bowl pattern and didn't like it. So I found this pattern instead. It was too small and crooked so I enlarged it to full 8 1/2 X 11 inch size. If you click on the pattern, you can download it yourself. I provided markers, white glue (in small bowls), q-tips as glue brushes and an assortment of dry beans and pastas. I also meant to add foam letters for "alphabet soup", but in the end just went with the basics. The kids had a great time coloring their spoons and bowls and then adding lots of ingredients for the "soup". And when they were finished I stapled their pictures onto 9X12 sized colored construction paper, which made it look extra nice.. I looked for a "take home" soup craft, couldn't find one, and decided, since I was doing "Tiger Tail Soup" to do a tiger craft. 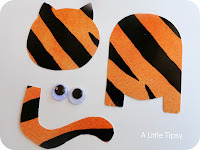 I looked at a number of tiger puppets and found them either boringly minimal or having too many pieces. I liked a puppet I found on a UK site called "Activity Village", but it was made with a wooden spoon and there was no way I could do that time wise or budget wise. So instead I adapted this puppet I found on a site called "A Little Tipsy" (click on the picture to go there) and simplified it. I copied and printed out this pattern, then cut out the pieces and traced head and body onto white paper, using a thick black Sharpie to make the outlines. And I drew on lines for the stripes. In each take home bag went the head and body pattern, a craft stick to mount it on, and instead of the paper tail, I adapted the tail on the wooden spoon puppet--each child got two pieces of chenille stem (what we used to call pipe cleaners)--one orange and black that they could twist around the stick for an adjustable tail. The one you see at the left was my quick test tiger--but I'm hoping that the kids went home and made purple or green or blue tigers if they wanted to! This week's Flannel Friday is being hosted by the fabulous Melissa Depper, one of the "founding mothers" of Flannel Friday. Find the rest of this week's offerings at her blog.